As I strolled through Jean-Pierre Wolff’s vineyard, I found myself asking, “what do turtles have to do with wine?” My host gave a detailed description about the sanctuary for the Pacific pond turtle he had built amidst the vines while pointing out the numerous ladybugs fluttering around us. I pondered if the wine picked up any amphibian characteristics, if the turtles emerged from their home to help with harvest, if the shelled creatures imparted a bit of nuance to the terroir of the vineyard. The owner of Wolff Vineyards was more than willing to explain just how important the pond and its inhabitants was to the abstract French notion of place. Jean-Pierre (or JP for short), a Belgian born scientist, bought the property in 2000 and combined the lessons learned during his Ph.D. in Applied Engineering with critical thinking about how to resurrect the fading vineyard. In the early 1970s, UC Davis set up shop here in the Edna Valley to plant an experimental vineyard. It was the third vineyard in the region and covered 55 acres with conventionally-farmed chardonnay. Thirty years later, Jean-Pierre discovered a weak and debilitated farm, strung out from years of chemical treatment. With a propensity to push the envelope and ask challenging questions, he re-examined the vineyard and made some drastic changes. The first and most meaningful was the immediate switch to dry farming, a decision based on analysis of the farm’s ability to look after itself in terms of water. The vineyard responded just as Jean-Pierre had hoped and he eschewed irrigation in favor of Mother Nature’s watering schedule. 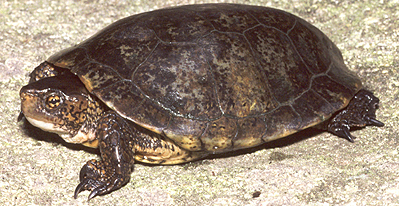 That preliminary success led to other innovative ways to create a healthy vineyard, such as the turtle sanctuary. A steelhead trout habitat, the only one in the area, not only increased the biodiversity of the farm but also helped protect against erosion, with strategic turns and bends created in the creek’s path to the Pacific. Those efforts also benefited re-vegetation, shading, riparian repairs, bio-engineering alternatives, and ground water percolation improvements. 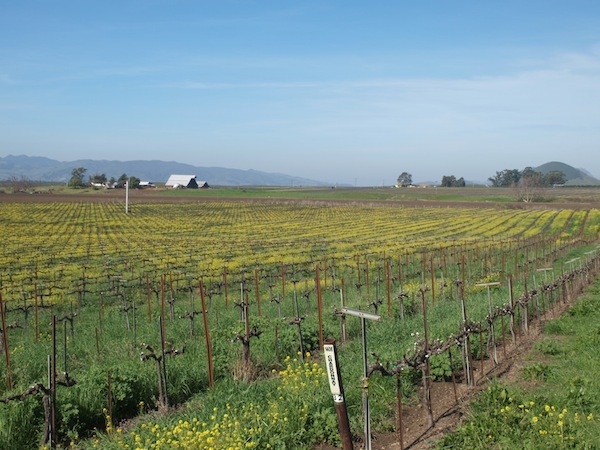 The introduction of native wild grasses as a permanent cover crop also reduced erosion while simultaneously providing a dramatic landscape, the yellow blooms of California mustard coloring the rows between dormant winter vines. When those vines produce fruit, hungry harvest-time birds are met not by labor-intensive and expensive netting, but by aerial assault from birds of prey. And the winged predators that patrol the vineyard are quite happy in the habitat, picking off would-be grape thieves for supper. It seems that every challenge the vineyard presents, JP responds with an unconventional answer, approaching winemaking from a holistic viewpoint. Yet, out of the 115 acres planted with vines, not one is certified organic or biodynamic. The reason? 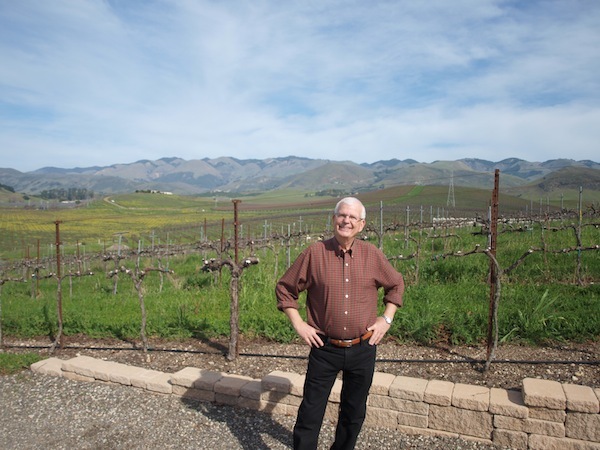 “Nature,” JP quips, “is too complex to put in a 3-ringbinder.” So he takes elements of each discipline, expands on them, and formulates new methods to grow chardonnay, riesling, pinot noir, syrah, petite sirah, and terodelgo. The analytical approach has led to the creation of the Sustainability in Practice (SIP) program, which is spreading throughout the Central Coast and into Northern California. The philosophy encompasses almost every aspect of viticulture, including economic stability and social equality, ensuring both natural and human resources are utilized responsibly. Along with his assistance in the development of the innovative program, JP has consistently employed new techniques to growing grapes. “Wine is made in the vineyard,” JP explains, “We let it make itself. The job of the winemaker is to not screw things up.” His efforts in the vineyard have included the use of Integrated Pest Management and organic soil amendments. Humble as he may be in the role of oenologist, his efforts in the vineyard have produced some unique and memorable offerings, including the area’s first planting of petite sirah. Emblematic of his experience as a winemaker, he has proven naysayers wrong with the dark red variety. While many said the grape would shrivel in the cool climate of Edna Valley, JP used his own intuition and confidence to forge ahead. Now, his first and most adamant critics have become customers, lining up to source his unique cooler-climate petite sirah. His European background has helped form his approach to winemaking, focusing on a Burgundian model, which emphasizes subtlety and elegance rather than power and aggressiveness. True to form, JP relies on history to lead him but constantly seeks new and innovative ways to grow grapes. We’ll have to wait and see what impact the next animal sanctuary has on his farm. 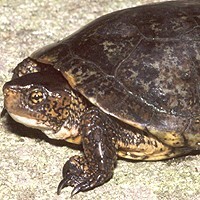 Enjoyed the article”Nurturing Wines & Turtles”. Mike its a great writer. Adds interest to a wine column beyond the wine info. Particularly interesting was the interrelationship of the wine growing & how it supported the native wildlife…fauna.